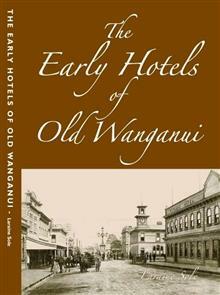 Traces the early history of the 28 hotels in early Wanganui with anecdotes and photos. With the establishment of military forces in Wanganui, the earliest hotels sprang up to deal with the thirst of the many soldiers defending the small town and outlying districts. This books tells the history of the 28 hotels opened by hopeful hoteliers, and some of the scandals and dramas that occurred within them. This books captures the nostalgia of the past but is also a useful reference book as of all the hotels that once thrived in Wanganui, only three still serve their original function and have run continuously throughout the years. The Red Lion, The Commercial and the Castlecliff hotels.